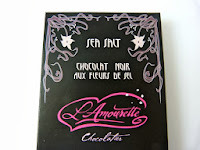 Today's Chocolat Noir (dark 72% cacao) sea salt bar from L'Amourette (San Francisco, CA) joined this week's line-up of better than average chocolate bars with salt. The dark chocolate was made with Carenero Superior cacao beans from Venezuela. 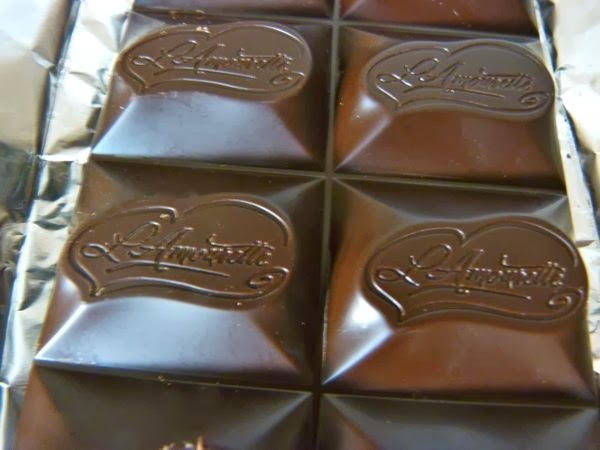 The packaging described this cacao as having "intrinsic black currant flavor." I wouldn't disagree with this observation, but any currant flavor was very subtle in the smooth tasting, finished chocolate. 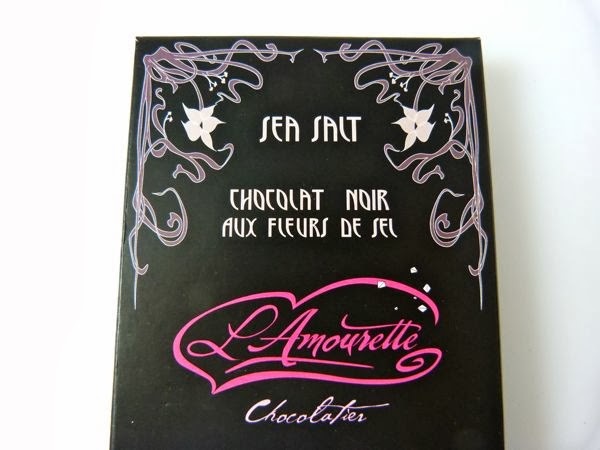 The chocolate was coated with just the right sprinkle and sparkle of tiny flecks and grains of sea salt (from the shores of Normandy) on the back side. The bar was easy to break into pieces to share with others if so desired.